I hope you all had a wonderful Independence Day weekend! My husband and I both work full-time, so it was so nice to have Monday off, and enjoy the three-day weekend. I'm bummed we didn't see any fireworks this year, but it was a fun weekend nonetheless. And now I have chair envy! Ugh! I need six of these kind of chairs that I can redo on the cheap! 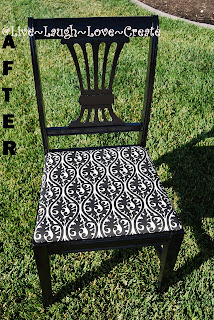 Thanks for sharing the dramatic results of your chair makeover, Paisley Inspirations! It's like Nancy at the "How-To" Homemaker read my mind! I've been wanting to start composting, and she posted a great tutorial on how to make a compost bucket! Thanks, Nancy!! Thanks SO MUCH for featuring my chair! I feel honored! My daughter absolutely loves it and it looks great with her other furniture. Thanks again for the feature and for hosting another great party! 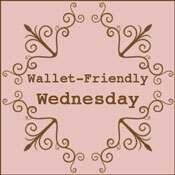 Thanks so much for featuring my post on making a compost bucket! I'm honored!